I am a Lecturer at the Department of Electrical and Electronic Engineering at City, University of London. Prior to my current appointment, I was Postdoctoral Researcher in the Engineering Department and a Lecturer at Christ Church College at University of Oxford. Previously, I worked at the Smart Grid & Technology Department in Commonwealth Edison (ComEd) - a unit of Exelon Corp. (Chicago, Illinois, U.S.) that provides service to approximately 3.8 million customers. I was awarded a Ph.D. and a M.S. in Electrical and Computer Engineering from University of Illinois at Urbana-Champaign in 2014 and 2011, respectively. I received my undergraduate degree in Electrical and Computer Engineering from National Technical University of Athens, Greece in 2009. My research lies on the interface of power and energy systems, decision and control, economics and energy policy. Deakin, M., Crozier, C., Apostolopoulou, D., Morstyn, T. and McCulloch, M. (2019). Stochastic Hosting Capacity in LV Distribution Networks. 2019 IEEE PES General Meeting 4-8 August, Atlanta, GA, USA. Najibi, F., Alonso, E. and Apostolopoulou, D. (2018). Optimal Dispatch of Pumped Storage Hydro Cascade under Uncertainty. Crozier, C., Apostolopoulou, D. and McCulloch, M. (2018). Clustering of Usage Profiles for Electric Vehicle Behaviour Analysis. Apostolopoulou, D., Anastasopoulos, K. and Bahramirad, S. (2016). Effects of solar and wind generation integration on feeder hosting capacity. Apostolopoulou, D., Sauer, P.W. and Dominguez-Garcia, A.D. (2015). Balancing authority area coordination with limited exchange of information. Apostolopoulou, D., Sauer, P.W. and Dominguez-Garcia, A.D. (2015). Distributed optimal load frequency control and balancing authority area coordination. Apostolopoulou, D., Sauer, P.W. and Domínguez-García, A.D. (2014). Automatic generation control and its implementation in real time. Apostolopoulou, D., Dominguez-Garcia, A.D. and Sauer, P.W. (2014). Online estimation of power system actual frequency response characteristic. Apostolopoulou, D., Chen, Y.C., Zhang, J., Dominguez-Garcia, A.D. and Sauer, P.W. (2013). Closure of 'effects of various uncertainty sources on automatic generation control systems'. Apostolopoulou, D., Chen, Y.C., Zhang, J., Dominguez-Garcia, A.D. and Sauer, P.W. (2013). Effects of various uncertainty sources on automatic generation control systems. Van Horn, K.E. 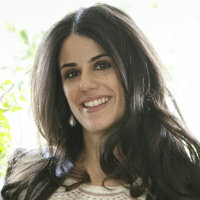 and Apostolopoulou, D. (2012). Assessing demand response resource locational impacts on system-wide carbon emissions reductions. Fleet Electrification. 20th Power Systems Computation Conference. Deakin, M., Morstyn, T., Apostolopoulou, D. and McCulloch, M. Loss Induced Maximum Power Transfer in Distribution Networks. Elombo, A.I., Morstyn, T., Apostolopoulou, D. and McCulloch, M.D. Residential load variability and diversity at different sampling time and aggregation scales. Deakin, M., Morstyn, T., Apostolopoulou, D. and McCulloch, M. The Value of Reactive Power for Voltage Control in Lossy Networks. 2018 IEEE PES General Meeting. Apostolopoulou, D. and McCulloch, M. Cascade Hydroelectric Power System Model and its Application to an Optimal Dispatch Design. IREP’2017 - 10th Bulk Power Systems Dynamics and Control Symposium. Crozier, C., Apostolopoulou, D. and McCulloch, M. (2018). Mitigating the impact of personal vehicle electrification: A power generation perspective. Energy Policy, 118, pp. 474–481. doi:10.1016/j.enpol.2018.03.056 . Apostolopoulou, D., De Grève, Z. and McCulloch, M. (2018). Robust Optimization for Hydroelectric System Operation Under Uncertainty. IEEE Transactions on Power Systems, 33(3), pp. 3337–3348. doi:10.1109/TPWRS.2018.2807794 . Apostolopoulou, D. and McCulloch, M. (2018). Optimal Short-term Operation of a Cascaded Hydro-Solar Hybrid System: a Case Study in Kenya. IEEE Transactions on Sustainable Energy. doi:10.1109/TSTE.2018.2874810 . Apostolopoulou, D., Sauer, P.W. and Dominguez-Garcia, A.D. (2016). Balancing authority area model and its application to the design of adaptive AGC systems. IEEE Transactions on Power Systems, 31(5), pp. 3756–3764. doi:10.1109/TPWRS.2015.2506181 . Apostolopoulou, D., Dominguez-Garcia, A.D. and Sauer, P.W. (2016). An Assessment of the Impact of Uncertainty on Automatic Generation Control Systems. IEEE Transactions on Power Systems, 31(4), pp. 2657–2665. doi:10.1109/TPWRS.2015.2475415 . Apostolopoulou, D., Bahramirad, S. and Khodaei, A. (2016). The Interface of Power: Moving Toward Distribution System Operators. IEEE Power and Energy Magazine, 14(3), pp. 46–51. doi:10.1109/MPE.2016.2524960 . Apostolopoulou, D., Gross, G. and Gul̈er, T. (2013). Optimized FTR portfolio construction based on the identification of congested network elements. IEEE Transactions on Power Systems, 28(4), pp. 4968–4978. doi:10.1109/TPWRS.2013.2261097 .